The hindquarters are very full and well rounded, and are approximately equal to the shoulders in width. They must not appear slack or light in relation to the overall depth of the body. The dog stands firmly on its hind legs showing a well-let-down stifle with no tendency toward a crouching stance. Viewed from behind, the hind legs are parallel, with the hocks turning neither in nor out. Cowhocks or bowed legs are serious faults. The hind feet point straight ahead. Steep, poorly angulated hindquarters are a serious fault. The dewclaws, if any, may be removed. The tail is not to be docked, and is set in continuation of the spine with but slight curvature, and carried gaily in hound fashion. The hair on the underside of the tail is coarse. Size: The height should not exceed 14 inches. Height over 15 inches at the highest point of the shoulder blade is a disqualification. Any recognized hound color is acceptable and the distribution of color and markings is of no importance. Disqualifications: Height of more than 15 inches at the highest point of the shoulder blade. Knuckled over front legs. Distinctly long coat. Click Here to Learn about breeder background checks on Basset Hound breeders if you are looking for Basset Hound puppies for sale. Click Here to learn how ResearchBreeder.com can help you find healthy Basset Hound puppies for sale. Click Here to order a Breeder or Kennel Background Check on Basset Hound Breeders that may have Basset Hound puppies for sale. 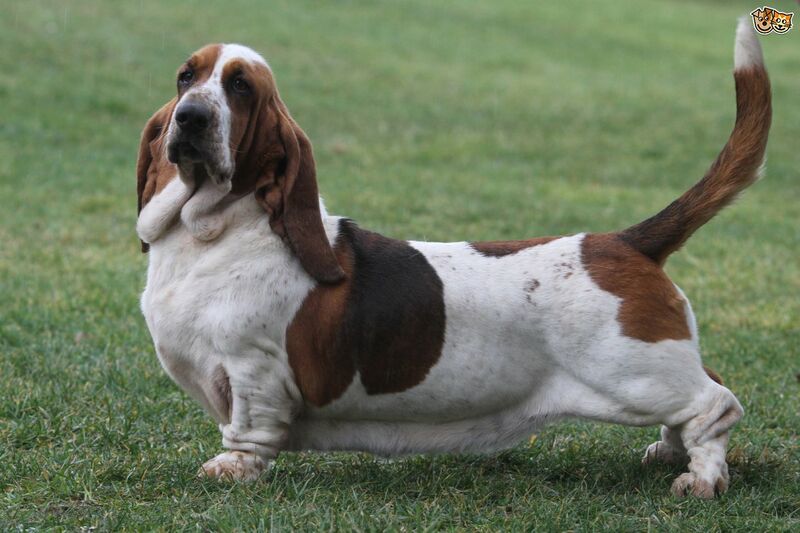 Click here to find the national breed club for Basset Hound puppies for sale. Click Here to purchase a list of approved ResearchBreeder.com Basset Hound Breeders who have Basset Hound puppies for sale.